The James Tyson Family Papers are organized by individual family member, and arranged afterwards by correspondence and diaries, and chronologically thereafter. James Tyson was born in Philadelphia on 26 October 1841, the son of Henry Tyson, M.D. and Gertrude (Haviland) Caswell Tyson. Henry (1815 – 1872), a native of Worcester Township, PA, was one of eleven children which included his sister Maria (1805-1881) who later married John Zimmerman. Henry initially moved to Philadelphia to teach school when he was in his mid twenties. Henry eventually enrolled at Pennsylvania Medical College, where he graduated in 1844. Around 1839 Henry married Gertrude Tyson (1803 – 1870), and together they had two children – James Tyson and Henry Tyson. The household also included Gertrude’s two children John Caswell, Jr. and Amanda Caswell from a previous marriage. The Tyson family subsequently moved to Reading, PA, where, in 1854, Henry was appointed warden of the Berks County Prison. James’ formal educated started in the fall of 1855, when he attend the Friends Central School in Philadelphia, then located at Fifteenth and Race Streets. In the fall of 1857, he enrolled in the Sophomore Class at Haverford College, where his classmates elected him President of the Everett Society, a prestigious student literary society. He graduated in 1860, with the degree of Bachelor of Arts having been named Valedictorian of his class by the faculty. Five years later, Haverford also conferred upon him the degree of Master of Arts, probably the semi-honorary master’s degree commonly conferred in the Anglo-American collegiate tradition. Following his graduation from Haverford, James enrolled in the Medical Department of the University of Pennsylvania. In January 1862, in the midst of his second-year medical studies, he volunteered his services as an acting medical cadet assigned to the U.S. Army General Hospital located at Broad and Cherry Streets in Philadelphia. There he worked under surgeon-in-charge, Dr. John Neill, while completing his course of study at Penn. Tyson graduated with the degree of Doctor of Medicine in March 1863, and the next month became an acting assistant surgeon at the General Hospital. During the Gettysburg Campaign, the Army ordered James to Harrisburg and assigned him to the Mulberry Street Hospital and also to the West Walnut Hospital until mid July. On 10 July Tyson learned that the Board of Managers of the Pennsylvania Hospital in Philadelphia had elected him Resident Physician of the Hospital. Pennsylvania Hospital was Philadelphia’s leading medical institution and election to a residency there was an exceptional supplement to the regular medical education. Tyson immediately resigned his position with the Army, and reported to the medical staff at the Pennsylvania Hospital. In May 1864, after completing his residency, he was reappointed an acting assistant surgeon with the U.S. Army and re-assigned to the Broad and Cherry streets hospital. He served at that hospital – and also, for six weeks in the fall of 1864, at a hospital in Winchester, Virginia – until the end of the Civil War in the spring of 1865. In May 1864, Tyson also established a private practice at his home, 332 South Fifteenth Street. On 5 December 1865, James Tyson married Frances Bosdevex, the daughter of Auguste Jean Baptiste Bosdevex and Fannie Hortense von Leo Bosdevex. The Bosdevex family originated in Belgium or France (sources differ on this point), but migrated to the United States about 1848 and settled in Augusta, Georgia. By 1870 James Tyson was the head of a six-person household at his Fifteenth Street residence, which included Fanny (25), and their children Thomas (4), Nellie (6 months); and two live in domestic employees – Isabella Thompson (22) and Mary C. Leiber (10). James’s parents, Henry and Gertrude, left Reading about 1868 and moved a few miles to the farm of their younger son, Henry, Jr., in Exeter Township, Berks County. Gertrude, died in Exeter Township in December of 1870 at the age of sixty-seven; Henry Tyson, Sr., fifty-seven years old, died in the same place in April 1872. Henry Tyson, Jr. continued to farm until his own death in October 1882. The education and Civil War experience of James prepared him well for a lifetime of the general practice of medicine. He was also deeply interested, however, in medical science, in research and writing on the fundamental nature of disease, the medical specialty known as pathology. In April 1866, several leading Philadelphia physicians recommended the formal establishment of a position at the Philadelphia Hospital responsible for the “microscopical examinations of the structures found or supposed to be diseased at the autopsies,” in order “to complete the history of the cases.” In addition, several members of the Hospital’s medical board recommended that James Tyson be appointed to the position. The recommendations were accepted by the directors of the Hospital, who, in May 1866, elected Tyson to the position of microscopist, a position he served at for over five years. In November 1871, the directors promoted Tyson to the joint positions of pathologist to the Hospital and curator of the pathological museum, followed by his election to visiting physician in March 1872. He served as a visiting physician at the Hospital for seventeen years, 1872 to 1889, and as president of the medical board from 1885 through 1889. Tyson’s research and teaching at the Philadelphia Hospital soon brought him to the attention of the faculties of both the Medical Department of the University of Pennsylvania and the Pennsylvania College of Dental Surgery. In the spring of 1869, the University’s medical faculty announced that he would begin teaching a class on microscopy in its “Autumn Course of Preliminary Lectures for 1869.” The medical faculty invited Tyson to teach the class again in the fall of 1870 and also to serve as Chief of the Medical Dispensary and Clinical Lecturer on Microscopy and Urinary Chemistry. Also in 1870, Tyson was elected by the faculty and administration of the Pennsylvania College of Dental Surgery to fill the position of Professor of Anatomy and Physiology. In February 1874 the Trustees of the University of Pennsylvania elected Tyson to the Board of Managers of the Hospital of the University of Pennsylvania (HUP) and in June of that year, when HUP opened, he became one of the Hospital’s twelve senior medical staff, with the title of Clinical Lecturer on Pathological Anatomy and Histology. The Trustees promoted him in April 1875 to the standing faculty with the position of Clinical Professor of Pathological Anatomy and Histology and in May 1877 promoted him again, this time to full Professor of General Pathology and Morbid Anatomy. Tyson’s medical colleagues simultaneously elected him Secretary of the Faculty of Medicine. Just eleven years after his first appointment at the Philadelphia Hospital, Tyson was clearly one of Philadelphia’s leading figures in the rapidly expanding field of medical science. When the University of Pennsylvania’s School of Dental Medicine and the Pennsylvania College of Dental Medicine merged in 1878 Tyson was one of the official liaisons between the two. 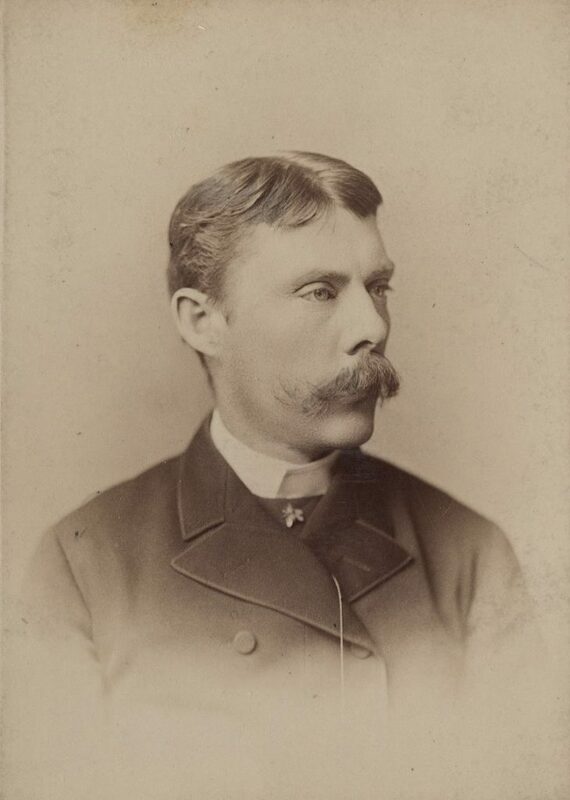 In June 1888, the Trustees elected Tyson to the twin administrative positions of Dean and Secretary of the Faculty of Medicine, a position he held for four years. Then, in January 1889, they elected him to one of the most prestigious and senior faculty positions at the School of Medicine, Professor of Clinical Medicine. In these roles, Tyson worked very closely with his medical school peer, close personal friend, and influential mentor, William Pepper, Jr., who had been Provost of the University since 1881. Following Pepper’s death in July 1898, the Trustees elected him to the position of Professor of Medicine. James Tyson became the universally recognized leader not just of Penn’s medical faculty, but of the medical profession in Philadelphia. He held this professorship for twelve years before his retirement in the summer of 1910. In November 1910, the Trustees of the University conferred yet another honor upon him, electing him Emeritus Professor of Medicine. Over the last twenty years of his career, James Tyson was accorded virtually every honor the Philadelphia medical profession could confer. In 1886, he was elected a Fellow of the College of Physicians of Philadelphia. One year later he was elected a member of the American Philosophical Society. He was President of the Philadelphia County Medical Society in 1897 and of the College of Physicians from 1907 to 1910. At his retirement, he was without peer in the Philadelphia community. James Tyson’s wife, Fannie, died on 8 May 1900. By April 1910, his daughter Helen had married Henry Stokes, a manufacturer of paper, and had a son, James Tyson Stokes, named in honor of his maternal grandfather. In 1908, Haverford College honored James by awarding him the honorary degree of Doctor of Laws. In 1912, the University of Pennsylvania conferred upon him its honorary degree of Doctor of Laws. James Tyson, M.D., LL.D., died on 19 February 1919. He was seventy-seven years old. The bulk of the James Tyson collection is his correspondence to his father, Henry Tyson; his half sister Amanda Caswell, and his future wife, Fannie Bosdevex, during and shortly after his time at Haverford College. There are a number of letters to Henry Tyson, including one from Dr. Thomas J. Kirkbride of Pennsylvania Hospital for the Insane replying to Henry Tyson’s inquiry regarding dipsomania. A number of letters from James during the Civil War period are addressed from the General Hospital and relates his experiences while there, as well as his contract as an acting assistant surgeon. In addition, there is a letter to Henry from Captain Henry A. Lantz of Co. E, 50th Pennsylvania Volunteers dated 1864 near the Pamunky River in Virginia. There is also a folder of letters from Henry’s sister, Maria Zimmerman of Warrensburg, MO, during the Civil War Period. The collection also includes materials related to James’ college life, ledgers and diaries from various family members in the late nineteenth and early twentieth centuries, and a bound copy of No Axe to Grind, an autobiographical sketch by James Tyson Stokes, a grandchild of the physician.